No more spyshots, no more leaked images, what we have here is the final and official statements from Mercedes on what is going to be most muscly C Class of all time. It is the 2012 Mercedes C63 AMG Black Series and its title is due to the AMG developed 6.3 liter V8 engine which outweighs everything else. This is because it develops a mighty 517 horsepower and 457 lb-ft of torque, 30 ponies more than the hottest, AMG Performance Pack that’s available with the “basic” Merc C63 AMG. 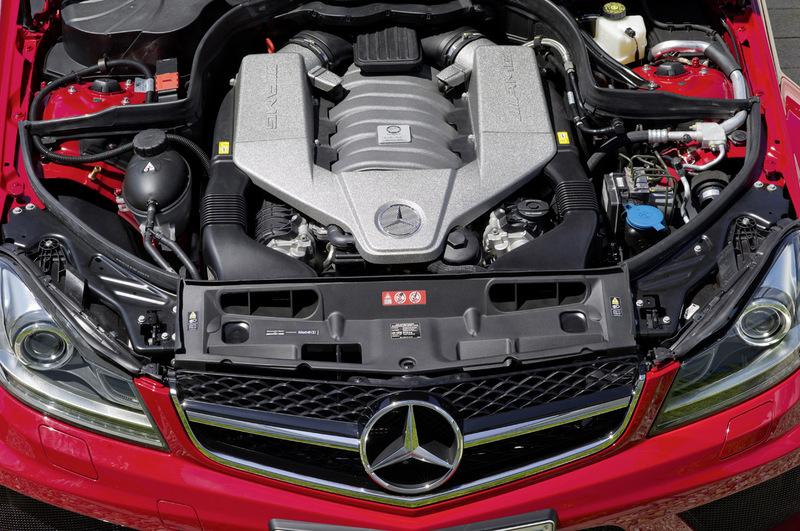 In attempting to keep that sort of fury on the road, Mercedes fitted the 2012 C63 Black with an AMG honed SPEEDSHIFT MCT 7 speed transmission and a rear axle differential lock. Technically the Black Series offerings from Mercedes tend to be impressive but under no circumstances can they tell the full story of how one of these cars feels to drive. This so called supreme driving feel is due in no small part to how AMG fitted a new coil-over sports suspension and an AMG brake system as well. Ceramic versions are available in case you are really that much overkill on a car that is already overkill engineered. These brakes, much like the standard ones will barely be spotted underneath a set of 19 inch light titanium alloy wheels. The light part is pretty important to AMG and the Black Series since the whole setup weighs around 11 kilograms less than the traditional alloys Mercedes has to offer. 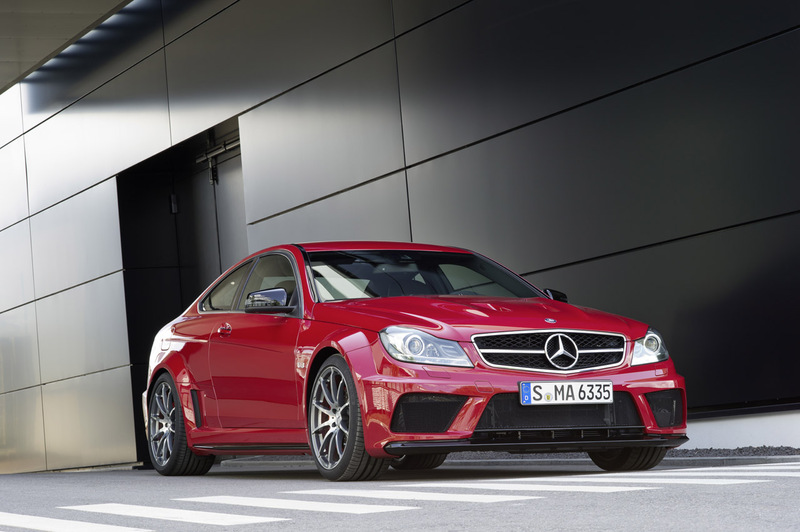 A raft of various underpinning upgrades are included but rather difficult to understand so let’s focus on the new body this 2012 Mercedes C63 AMG Black Series has. Mostly because it is made entirely out of genuine carbon fiber and while it sounds exciting, it’s only done in order to keep weight from going bonkers since the underneath stuff was upgraded so much. 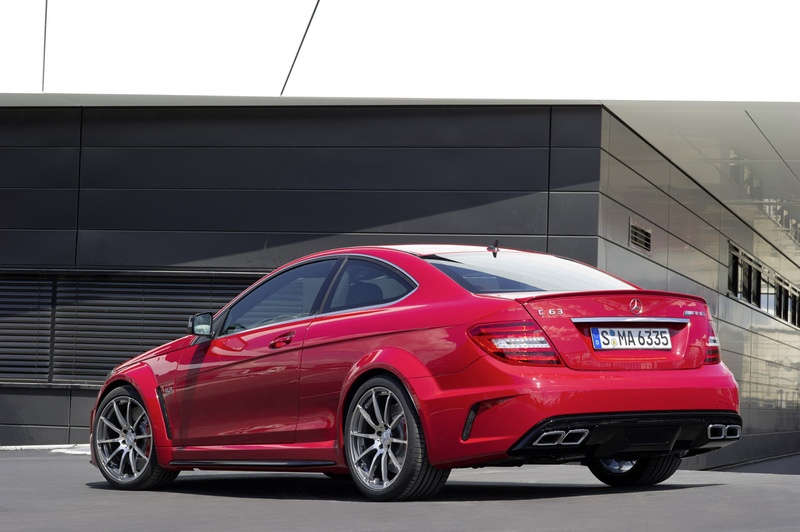 Those of you in favor of nerdy figures will enjoy knowing that the 2012 Mercedes C63 AMG Black Series takes just 4.2 seconds to get to 62 mph. You’ll enjoy acceleration covered by a near deadening sound and gear shifts that take just 100 milliseconds all the way up to a limited top speed of 155 mph. Pricing is almost decent as well. 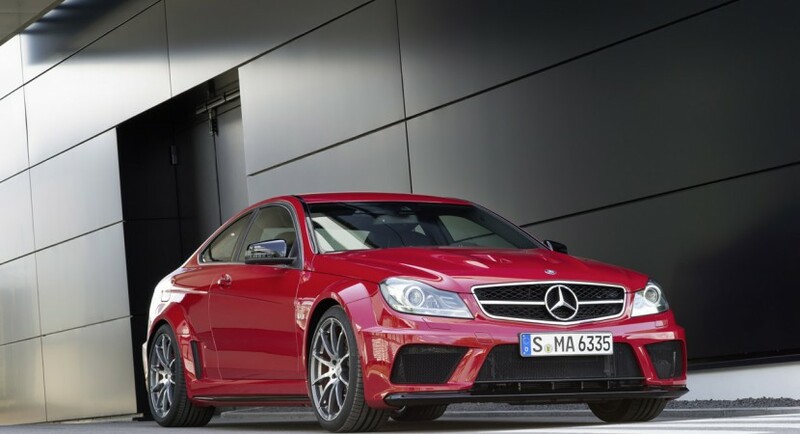 Given the levels of performance it offers an U.S. price tag somewhere around 90.000 dollars you’re going to have a tough time saying no to the 2012 Mercedes C63 AMG Black Series.